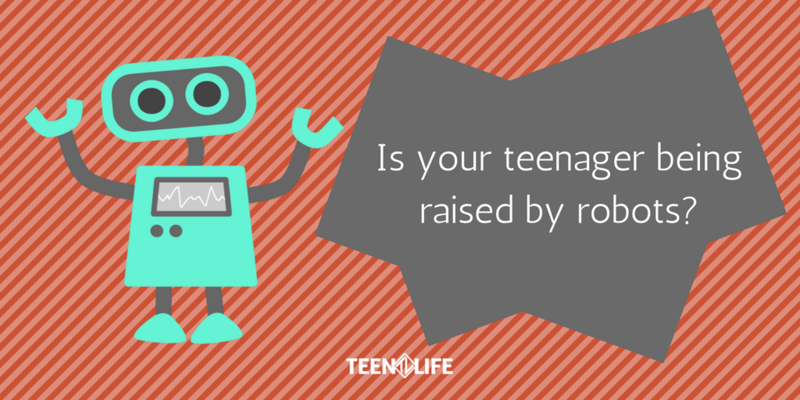 Is Your Teenager Being Raised by Robots? Recently I heard an interview on the radio with a former DJ from a once influential radio station in our town. This radio station played “alternative” music over the airwaves of our city back when the grunge movement really took hold in the early 90’s. I remember listening to this station at night when the signal was strong enough to make it to our little town, and thought I was part of something really cool. This former DJ was reflecting upon the role he played at this station. He would host a Sunday night show featuring new music and up-and-coming bands that no one had ever heard of within this alternative genre. Back then, he fancied himself as a gatekeeper of sorts – someone highly immersed in the movement and culture of the music scene whose job it was to guide the masses into new worlds of music. For him, all music wasn’t created equally – and most people who didn’t know much about music had to be led to what was good. Being a music guy myself, I totally agree with this. For me to find a great piece of music or band who is really doing great work means hearing about it from someone I trust. Usually this means hanging out with my friends who play music or devote a lot of time listening to what is out there. But there was a part of this interview that has stuck with me for a while now. He mentioned the special place in history a radio show like this had, especially in comparison to today. For this former DJ, he doesn’t have a lot of use anymore in that role. He cited services like Spotify, Pandora, and Apple Music as the new replacements for the DJ. In the past, music was passed down through relationships, conversations, shared experiences. I can’t tell you how many songs I relate to car rides with friends, road trips in college, or a concert experience with other obsessed fans. Music travels through history via the vehicle of relationship. The DJ lamented how these music services use algorithms to point the listener towards similar songs or band matching the tastes of the listener. For the music fan, new music can be discovered not through relationships or shared experience, but through points, clicks, taps, and swipes. At first listen, I thought this DJ was being a little grumpy. But the more I reflected on his comments, I started thinking about how music was passed down to me, and how much different it must be for the modern teenager. Then, I thought about the broader implications of the online world our teenagers live in. You see, this post isn’t about music. It’s about blind spots. I had never considered what we lose when we rely on computer algorithms to help us make decisions (even small ones like the music we listen to). When we take relationships, conversations, and connections out of our decision making, we lose a little of what it means to be human. When I think about how online music services take relationships out of music, I have to believe we are missing a lot of other things. – Relationships via cell phone or social media. A teenager can find everything they want to know about these things and more without ever seeing an actual human being or having to talk through the implications of what they see. So many teenagers can have a fully formed (for a teenager) opinion on something without ever actually talking to someone about it. This internet thing is really cool. But now that it is social, we have to mind our blind spots. As those who love teenagers, we need to ask the hard questions about where we need to start inserting relationship and conversation into what they read, watch, and hear online. These things should not be absorbed divorced from relationship. In fact, I would say the only way our internet habits will ever become positive is if we balance it with healthy relationships and conversation so we can find ways to process what we hear, read, and see. Let’s not let our teenagers be raised by robots.